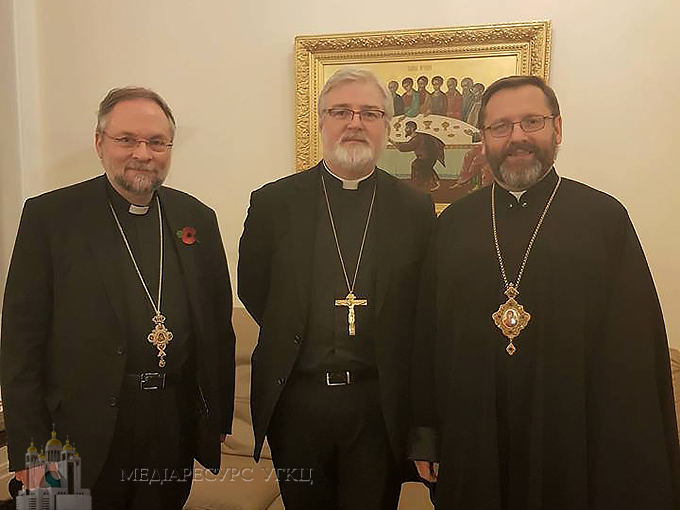 On Wednesday 25th October 2017, His Beatitude Patriarch Sviatoslav welcomed Bishop Jonathon Goodall, Anglican Bishop of Ebbsfleet, to the Ukrainian Cathedral of the Holy Family in London. Bishop Jonathon is responsible for leading the Church of England’s relations with the Eastern Churches. During the conversation, they discussed important themes such as ecclesiology, ecumenism, and synodality in the Church, which are currently on the agenda of the meeting of Eastern Catholic Bishops of Europe, taking place for the first time in England.